Artist Uğur Gallenkuş creates digital collages juxtaposing scenes of dire circumstances in war-torn, poverty-stricken parts of the world with the opulence and security of the west. 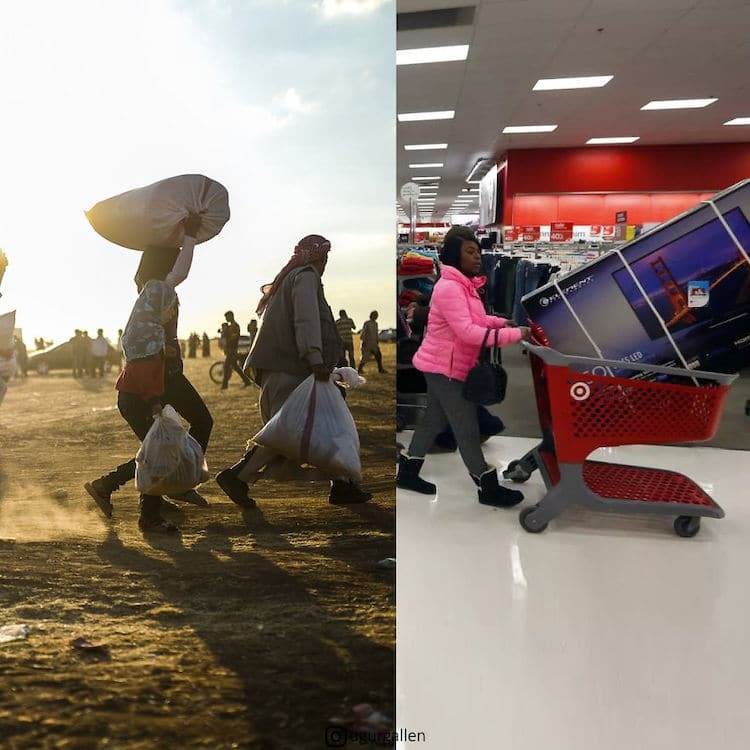 In a single image, he displays two views of the world that could be happening on the same planet at the exact same moment. For today’s Daily Create, make a similar image that shows two different views of the same world. If possible, make a connection between the two images visually in the style of Gallenkuş.